IS CCB CREDIT SERVICES HARASSING YOU ABOUT YOUR DEBT? Calling you at work after they have been told not to. Engaging you in conversation without first telling you the reason for the call. Continuing to call you after you have given them the name and contact information for your attorney. Did you get phone calls from any of these numbers? (866) 288-0436, (866) 362-1025, (217) 585-2340, (800) 755-5249, (877) 688-8288, (800) 959-1373, (800) 473-7885. 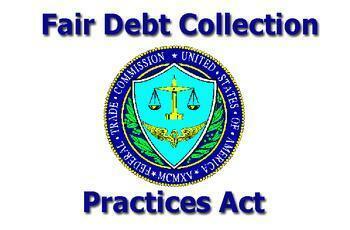 If a debt collection agency has violated any of the rules laid out in the FDCPA they may be required to pay you up to $1,000 in statutory damages. On top of this settlement, if you win the case the debt collection agency will be responsible for paying your attorney’s fees. If you think you may have a good case against a debt collection agency you should seek out a free consultation with an attorney immediately.